Hall sensor is a device that generates output current based on the magnetic field in its proximity. When a current carrying conductor is placed in a magnetic field, a voltage is generated perpendicular to the current and the field. This phenomenon is called as Hall Effect. 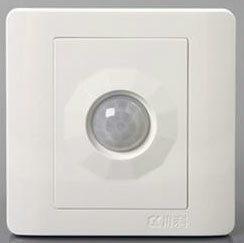 The Hall sensor has a thin semiconducting material called Hall element. A current is passed through the Hall element in a direction perpendicular to the output connections. In the absence of a magnetic field, current distribution is equal without any potential difference across the output. When a perpendicular magnetic field is applied, a force called Lorentz force disturbs the current distribution and a potential difference develops across the output. The output voltage is called as Hall voltage (VH ). Lorentz force is the force acting on the moving charge carriers in a magnetic field. RF Wireless Module pair 433 are excellent Transmitter ( Tx) and Receiver ( Rx ) transmitting signals in the UHF band at 433 MHz . 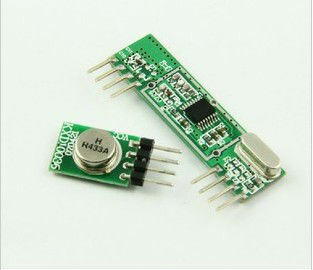 These modules can be used to transmit and receive data, voice or other signals like IR pulses to remote places. The Wireless modules works off 5 volt DC and a regulated power supply is required. 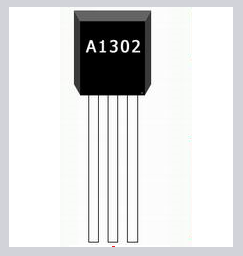 It is useful in various Microcontroller applications.